International Open Source Network (IOSN) ASEAN+3 | Software Freedom For All! When Forrester released its 2016 report “Open Source Powers Enterprise Digital Transformation,” some people in the open source community were surprised by the results. They weren’t surprised that 41 percent of enterprise decision makers called open source a high priority and planned to increase use of open source in their organizations. They were concerned that the other 59 percent didn’t seem to understand the role open source would play in the future of the enterprise. Fast-forward to today, and open source skills are among the most in-demand: 83 percent of hiring managers surveyed for the 2018 Open Source Jobs report said hiring open source talent was a priority this year, up from 76 percent last year. (More on that report in a minute.) Hiring managers are touting their organization’s contribution to open source projects as a recruiting strategy for nabbing top talent. Some of the biggest trends in enterprise IT, such as containers and hybrid cloud, rely on open source technologies including Linux and Kubernetes. The mindset and narrative around open source have changed. Enterprise IT and business leaders should be able to keep up with IT organizations doing innovative work with open source technologies. We’ve rounded up some resources to help you get up to speed – and stay there. Open Source in years has been evolving from being Free software alternatives to being innovative in many areas. In the recent couple of years Open Source projects are leading the innovation and even defining standards for the future. For example, Cloud engineering and solutions is been led by Open Source projects. Similarly another example Machine Learning and AI is also been led by Open Source projects. My experience working with Open Source technologies, here are the few trends that will define 2018. Read more about Munich Library offers free Ubuntu 12.04 CD’s for Windows Users! This month of May marks the 10th anniversary of the implementation of the Community Health Information Tracking System or CHITS. The homegrown electronic medical record system developed by the University of the Philippines Manila in 2004. Over the years, this single “seed” of innovation has come a long way since its implementation at the Elvira Lagrosa Health Center in Pasay City. From its humble beginnings as a “Child Health Injury Tracking System” spearheaded by Dr. Herman Tolentino, Dr. Alvin Marcelo and the Pasay City Health Department through Dr. Marie Irene Sy, CHITS has become an eHealth tool that can improve health information system in the country. “Look around you - open source is running so many things that play a crucial part of our lives and I bet most people don’t even know it,” said Prof. Ariel Betan, Managing Director of the International Open Source Network ASEAN+3, a Centre of Excellence under the UNDP Asia-Pacific Development Information Programme that advocates free and open source software, open content and open standards in the region. “Linux, for example, is an operating system that runs a lot of today’s open source technologies. From small devices like mobile Wi-Fi routers/access points, desktops, smartphones and even appliances to large installations like the Large Hadron Collider, the world’s largest and most powerful particle accelerator, spanning 27km in the the Franco-Swiss Border,” he said. A few years ago, a global analyst firm went so far as to describe open source as the ‘hype du jour’ and some people even labelled it as something destined for the student and hobbyist market. Today, its collaborative innovation model has prompted some governments to go ‘Open Source by default’ by releasing everything it does to the community. “Trends right now are on the collaboration and creation of platforms and ecosystems. Gone is the era of the monolithic one-software-for-all mentality. It is now conventional wisdom that some services and components are better offered by other entities and it is their integration that is driving the development of this ecosystem,” Dr. Alvin Marcelo, an eHealth Adviser for an international development agency, said. LPI Paper-based Certification Exam Sept 17,2013 Registration Still Ongoing. The Linux Professional Institute (LPI) and the International Open Source Network (IOSN) ASEAN +3 in cooperation with the UP System IT Foundation and the UP IT Development Center (UP ITDC, formerly UP ITTC) will be holding LPI Paper-Based Certification Exams on Sept 17, 2013 at the UP ITDC, 2/F Vidal A. Tan Hall, Quirino Ave. cor. Velasquez St., University of the Philippines, Diliman, Quezon City, both for Level 1 (LPI 101 & 102) and Level 2 (LPI 201 & 202) LPI Certifications. Level 3 Certification Exam will be included if there are takers. Open Source Security in Healthcare Forum on July 27, 8:30-3:30pm at the Asia Pacific Colleges, Makati. foss-for-health.org | Free and Open Source Software for Health! 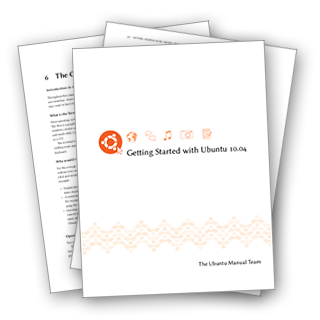 Get the latest Ubuntu Manual. Previous versions also available.